Officials in Philadelphia are now looking into death of the father of President Donald Trump's former National Security Advisor, General H.R. McMaster. The Philadelphia police homicide unit, the Philadelphia District Attorney, the Pennsylvania Attorney General, and the Department of Health are investigating. 84-year-old H.R. 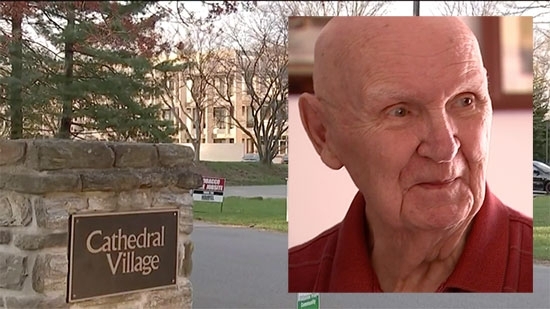 McMaster, Sr. died on April 13th at the Cathedral Village Retirement Community in the 600 E. block of Cathedral Rd in the Roxborough neighborhood. According to health department records he died from blunt impact trauma to the head and the manner of death was determined to be an accident. Authorities are investigating the possibility of institutional neglect and that he did not receive proper care after a fall. Gen. McMaster resigned as National Security Advisor in March. A father and his 1-year-old son were critically injured in a shooting in Southwest Philadelphia on Wednesday night. It happened at 8:40 pm near 67th and Trinity Street outside their home. The 21-year-old father had just placed the child in the back seat and gotten into the car when one or more people fired into the driver's side window. The father was injured but drove off. Several more shots were fired at the car as he sped away. The child was also struck. He drove to the 12th District headquarters at 65th and Elmwood. Paramedics at that location took the child to Children’s Hospital. The father was taken to Penn Presbyterian Hospital. Both are in critical condition. The Hard Rock will open in Atlantic City on June 28. The former Trump Taj Mahal has undergone a complete overhaul. The new facility features 20 restaurants and bars, 2,000 hotel rooms, 2,100 slot machines and 120 table games. It will focus just as much on entertainment as the casino. There will be 300 nights of live entertainment each year. The first 60 concerts go on sale this Friday and include acts like Third Eye Blind, Florida Georgia Line, Rascal Flatts, Stone Temple Pilots and Counting Crows, along with Chris Young, Frankie Valli, Toby Keith, Steely Dan and Kid Rock.